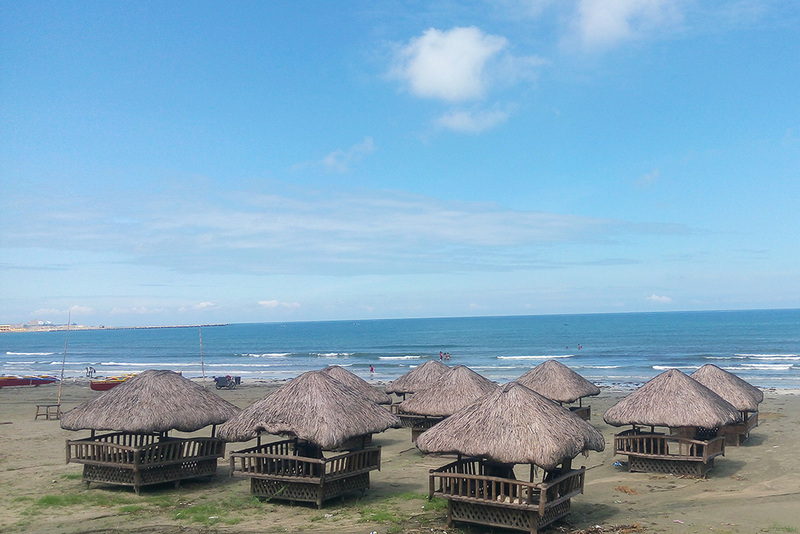 Last month, Lanz, Lili, Jechel, and I made our sort-of-backpacking trip to Ilocos Norte. We got to visit one of UNESCO's World Heritage iconic Church of Paoay, tasted Batac's famous empanada, explore local sceneries, and more! 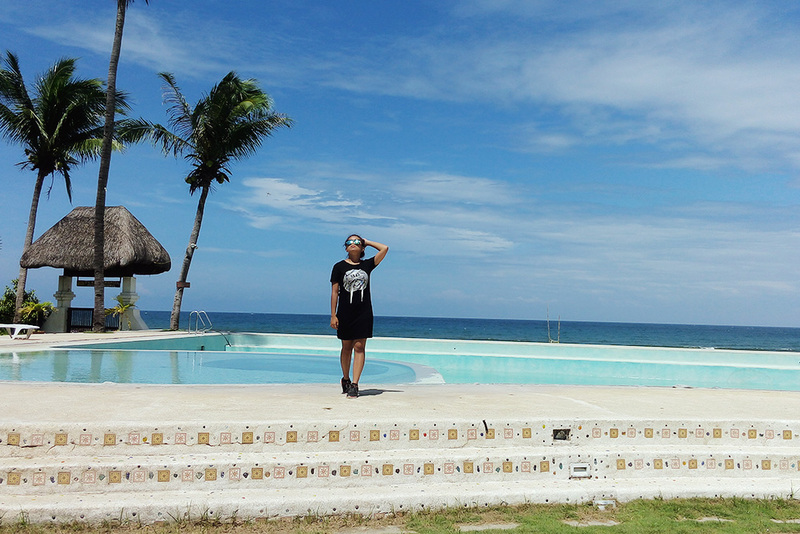 First time visiting Ilocos Norte? Nope. It's my third time already. First, with my family and relatives. Second, a high school field trip. 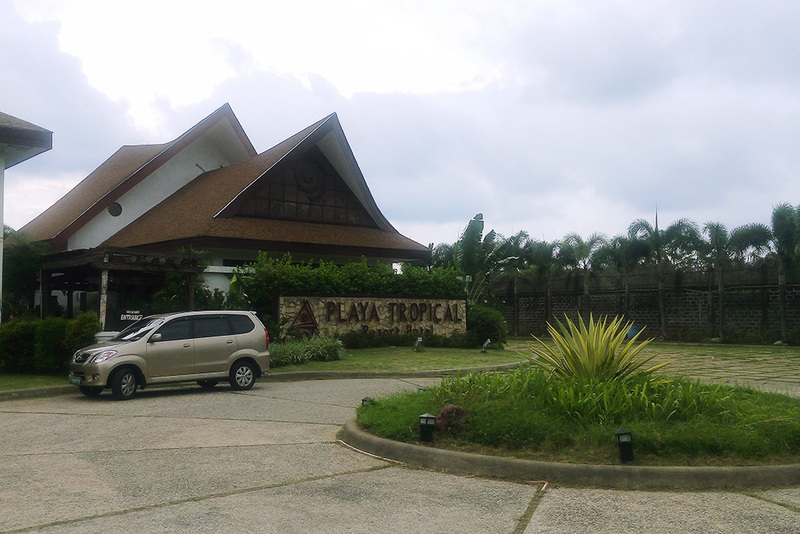 Anyway, 4 months ago, me and my colleagues, booked a 1 night stay for August 23 at Playa Tropical Resort Hotel through Deal Grocer. 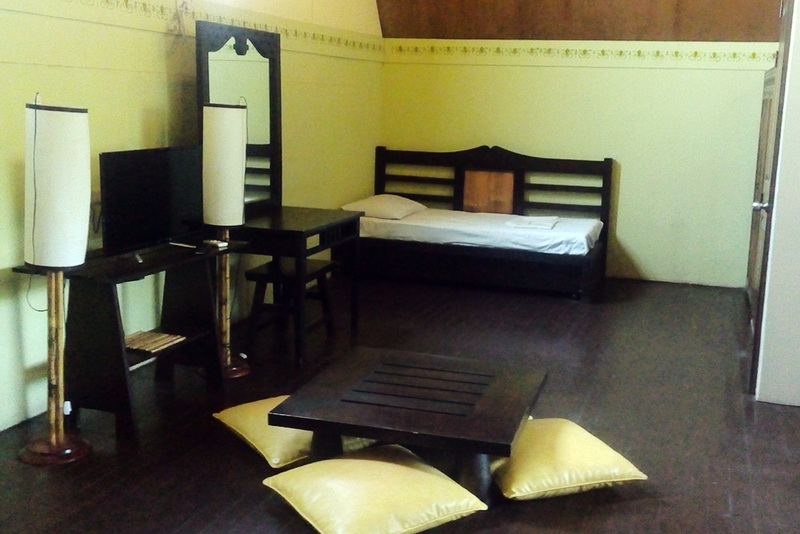 The stay is good for 4 people with breakfast and 2 15-minute massage. Instead of PhP 3,800 ($76) we only got it for PhP 3,200 ($64). It was really a great catch so we bought the deal. Plus, the pictures advertised were really enticing, especially the pool. 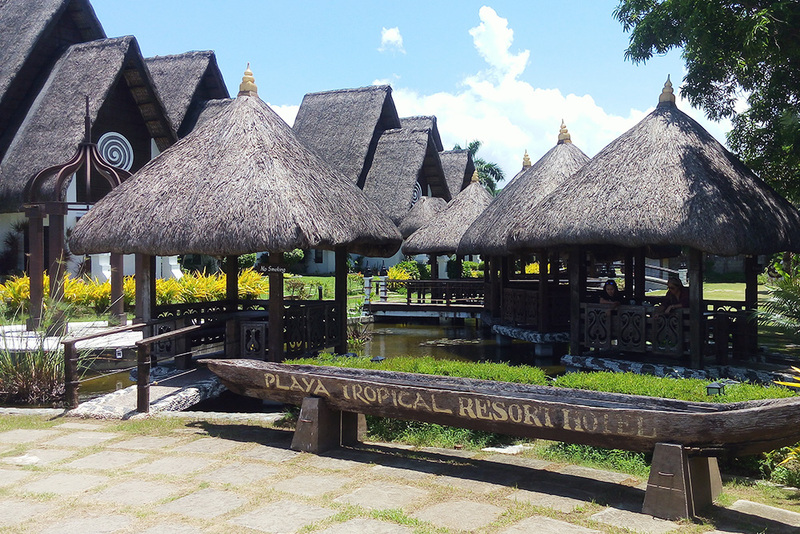 Read on to know more about our stay at Playa Tropical Resort Hotel, a Balinese-inspired haven of the North. 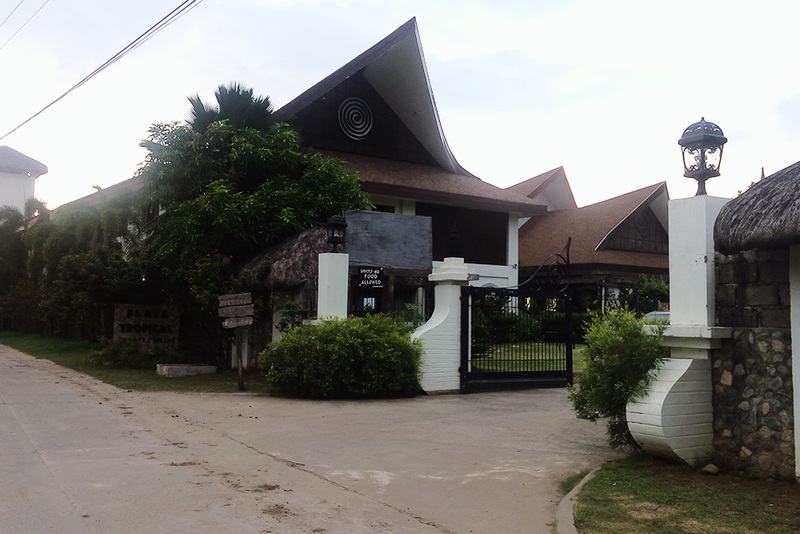 Playa Tropical Resort Hotel is located in Barangay Victoria, Currimao, Ilocos Norte and it is situated on the main strip of beachfront resorts and hotels. 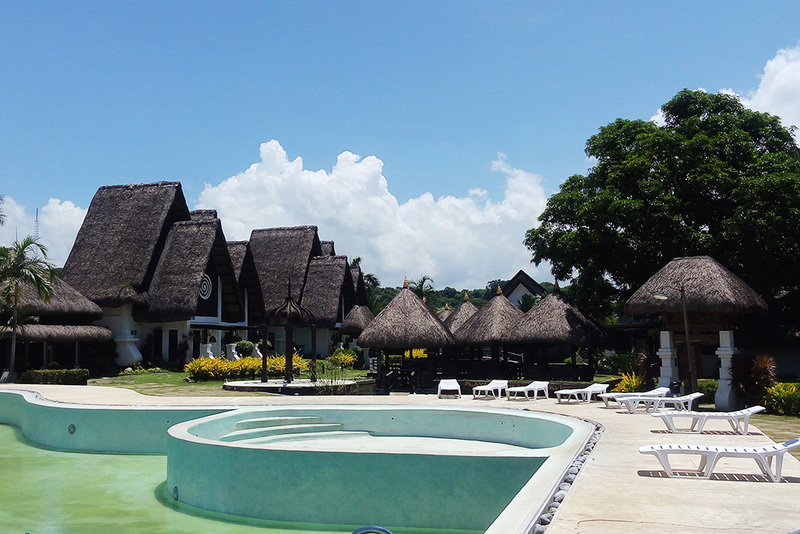 It is a 45 minute drive from Laoag International Airport, a 6-8 hours drive from Baguio, and a 9-10 hours drive if you will be coming from Manila. It's location is very accessible to Currimao's market, 7-eleven, karinderias (food stalls), pharmacy stores, bus stop, and other local stores, all are in easy walking distance. 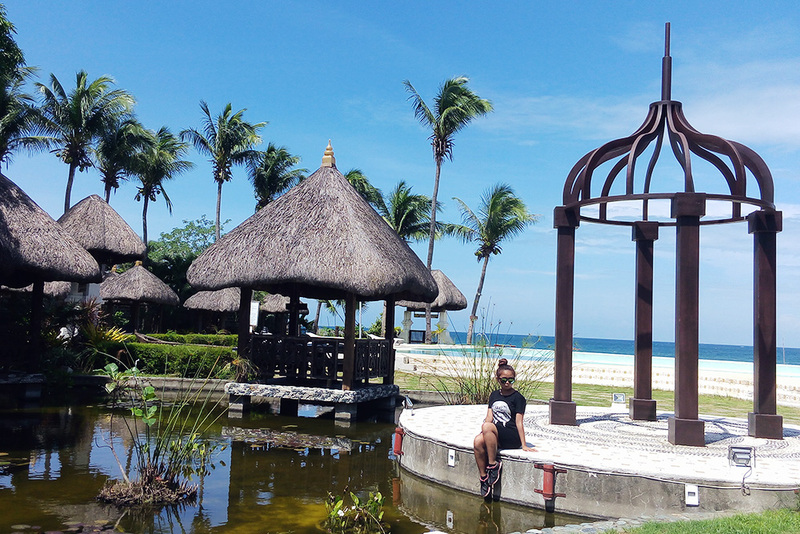 There is not much restaurants or other fancy establishments in Currimao but it's truly a peaceful place, perfect for connecting with nature. From the Manor Rd. and Balacao Rd. intersection, we rode a tricycle going to the hotel. It was somewhat enigmatic when you drive through the security gate and towards the surprising entrance. 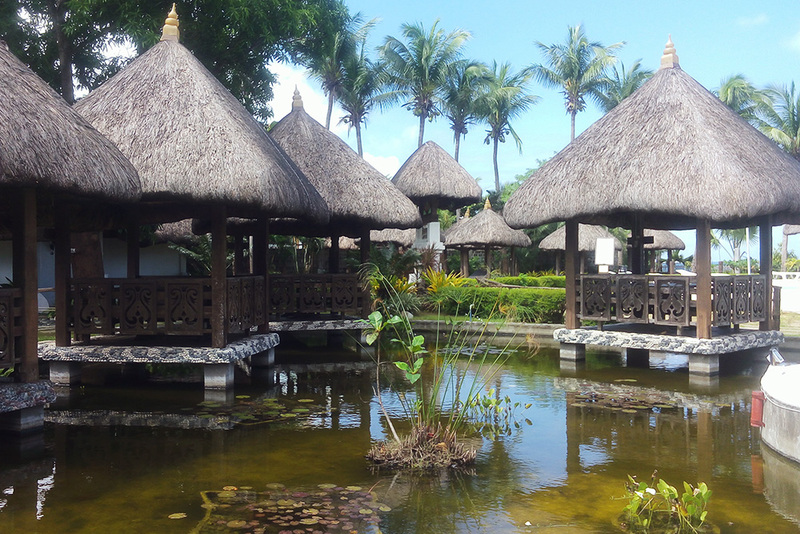 After stepping out of the tricycle we rode, we were greeted with a beautiful Bali-like palace. 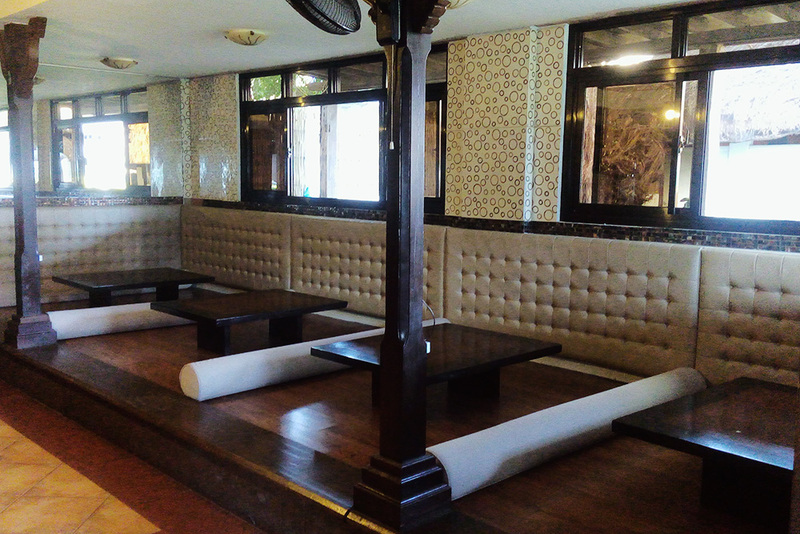 The first thing you will notice are the exquisite furnitures from Indonesia. We arrived at 10 in the morning. We were exhausted from our 8 hour trip, we want to take a bath, and we didn't have any breakfast yet. Our stomach is grumbling and we really needed to eat. Good thing is that the hotel's restaurant is open. We left our bags in the lobby and went straight to the restaurant while waiting for our room to be prepared. 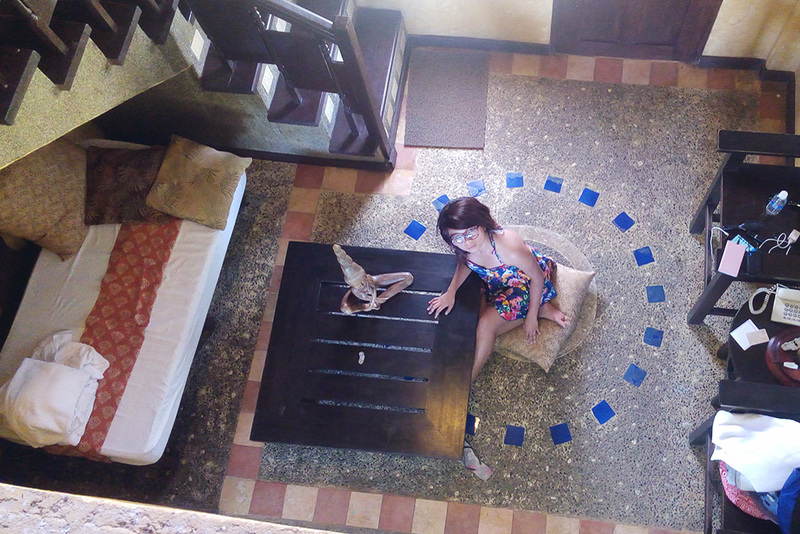 Although there were some problems when we were checking in, but nonetheless, we got upgraded from a Double Deluxe room to a Villa without any charge. Plus, we got to stay for another night for free. Yay!!! So instead of a 2 days and 1 night, we get to indulge in the beauty of Playa Tropical for 3 days and 2 nights. As we approached, we were greeted with awe by its breathtaking landscape. Oh, what a beautiful place! It seems like we got transported to Bali in a zap! And oh, we can't wait to try out the pool! 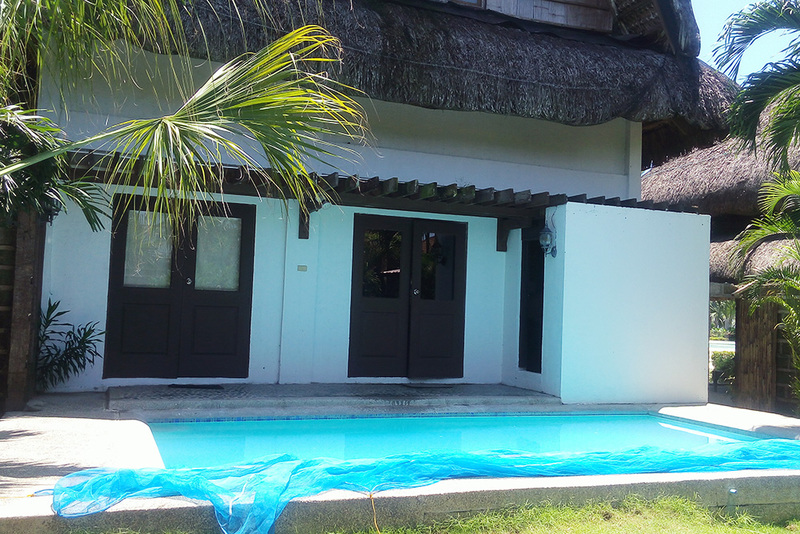 We were given Aqua, 1 of the 4 Casas (villas), the gems of Playa Tropical that proudly stand in the resort. 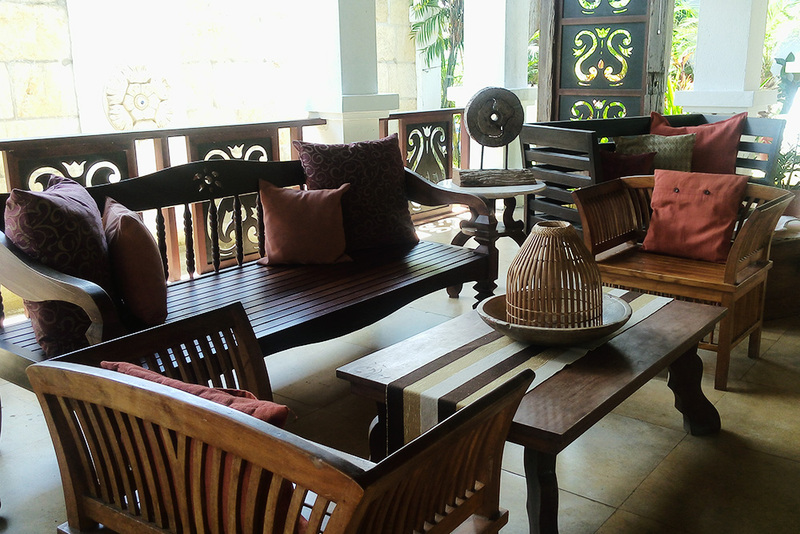 The villa is a beautiful 2 floors occupancy with a dreamy Bali view. The first floor houses the master bedroom that opens up to the pool and the garden. We had our own living room and a dining room. Plus, a private pool and a garden at the back. Sweet! What I absolutely love about our villa is our private pool. Here we spend most of our time: just wading, having chat. And on our last night, we bought some beers and went absolutely crazy! Haha. 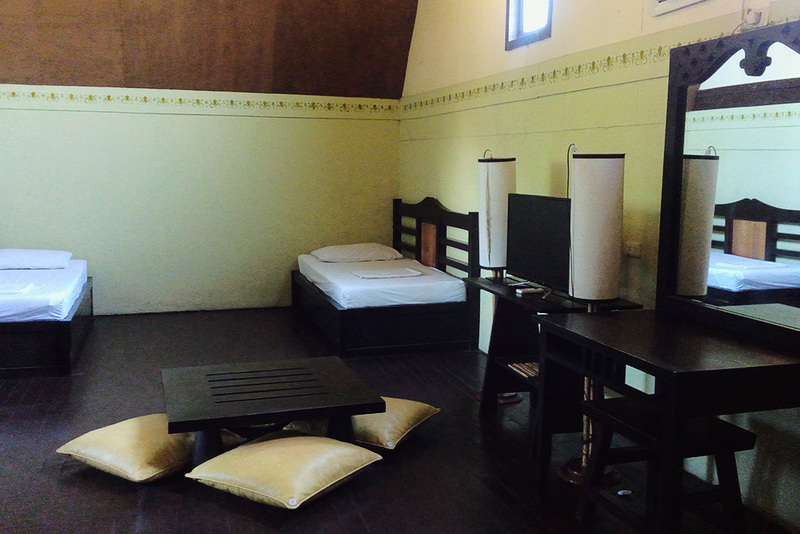 Upstairs is a very wide room with 3 single beds, equipped with a flat screen cabled TV, a huge vanity mirror, a low table and huge throw pillows, a wooden bench, and built-in bamboo cabinets. 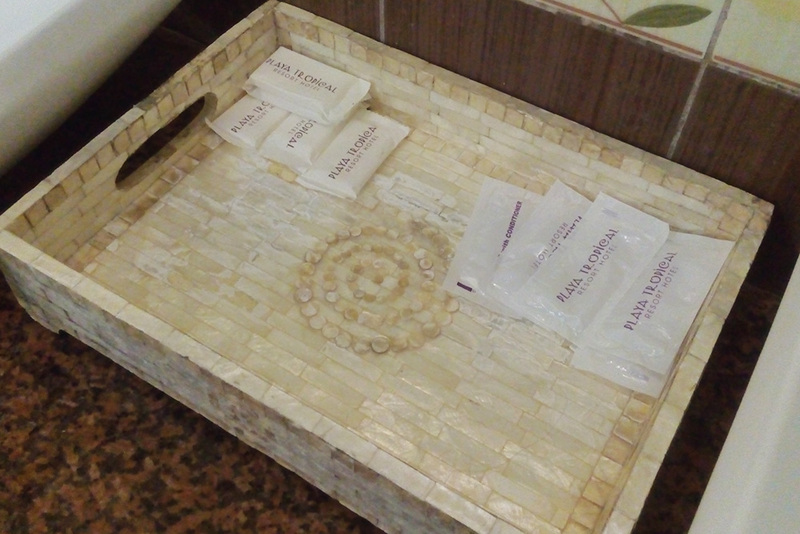 There were complimentary shampoos and soaps in the bathroom. And there were complimentary bottles of drinking water waiting for us in the mini refrigerator. 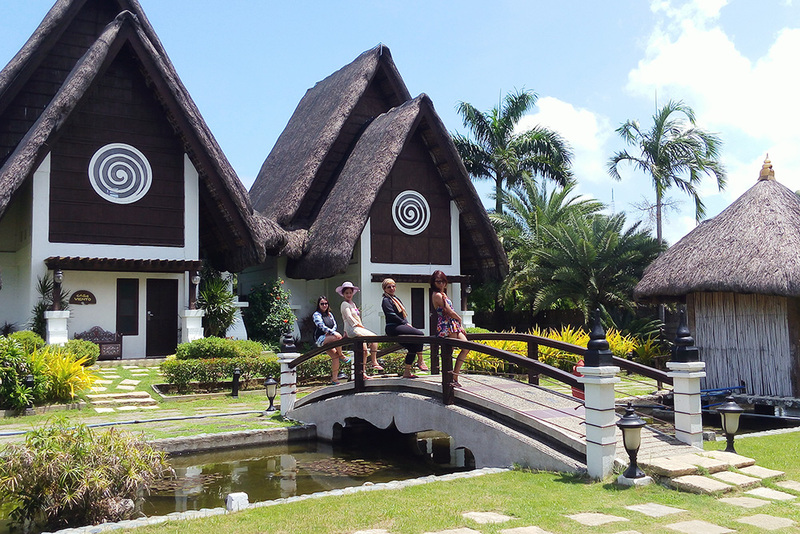 TRIVIA: Did you know that the 4 villas are named after the 4 elements? Agua, Tierra, Viento, and Fuego. Agua: A beach where the calm waves and fine sand reminds you of the infinite wonders of the world. Tierra: A home in landscaped gardens where you can live in bliss. Viento: An escape where your worries drift away with the gentle ocean breeze. Fuego: A paradise where you find the most beautiful sunsets. The Playa Tropical's infinity pool is overlooking the beach. We didn't get a chance to experience the pool though. When we arrived, they were fixing the pool and another 2-3 days for it to be filled. Ah, it would be so nice to plunge into its waters. The beach is where we spend our mornings and afternoons during our stay at Playa Tropical. The sand is fine, powdery, and gray. There is always a refreshing breeze which means you will never feel like you are baking under the sun. The water is incredibly cool too! The sea is perfect for an early morning or an afternoon swim. 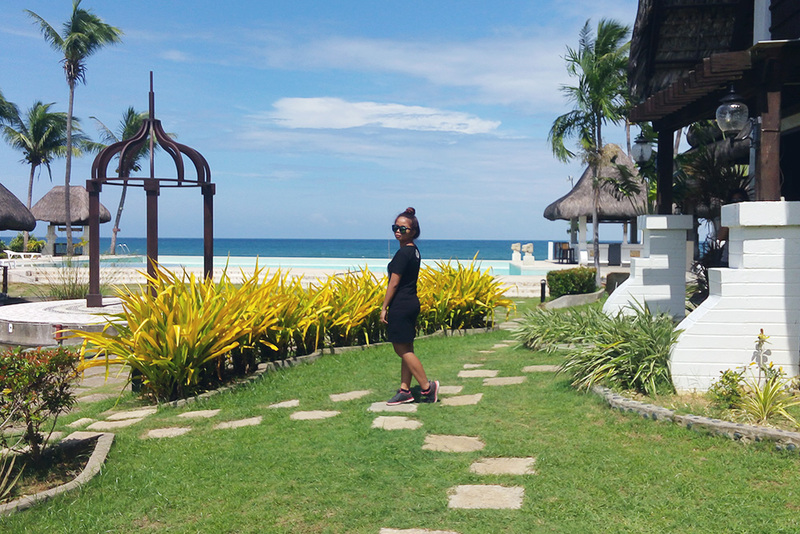 On our first day at Playa Tropical we got to try out one of Cafe Amarra's specialties like the ensaladang iloco, pinakbet, and other Ilocos specialties which I really love (because I am an Ilocano myself). A single viand is good for 2. The food is good but pricey. 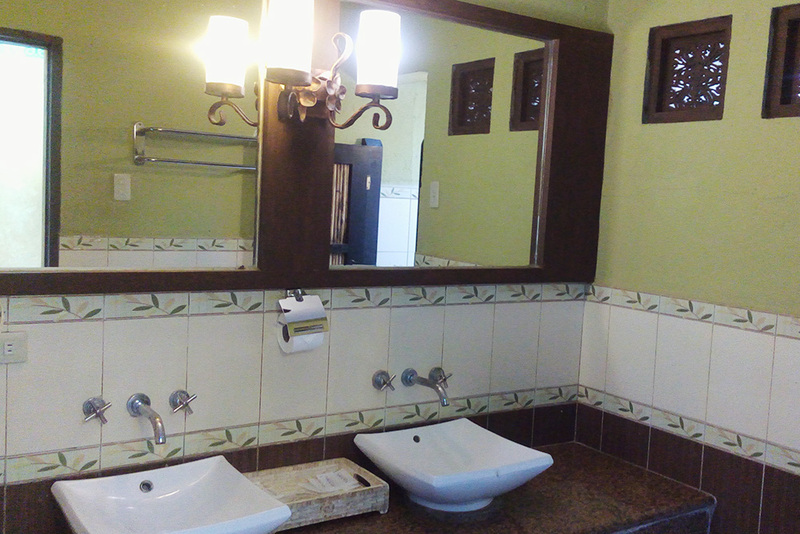 And you will spend an average price of PhP 800 ($16) or more for 4 persons. 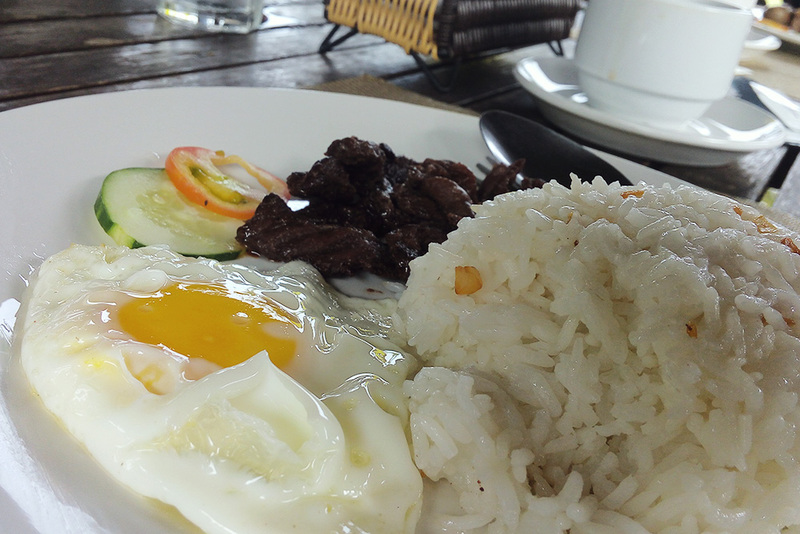 We paid PhP 800+ for that late breakfast and lunch. 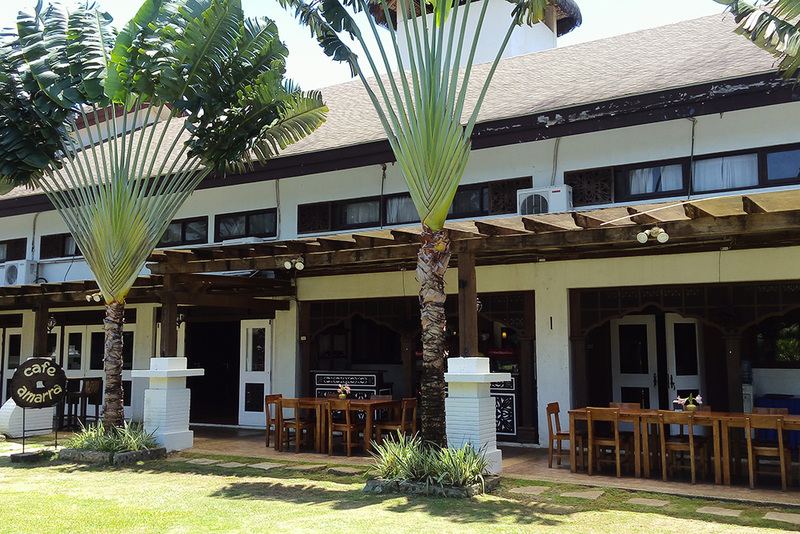 TIP: Try out a pot of coffee and experience real Bali inside Cafe Amarra. 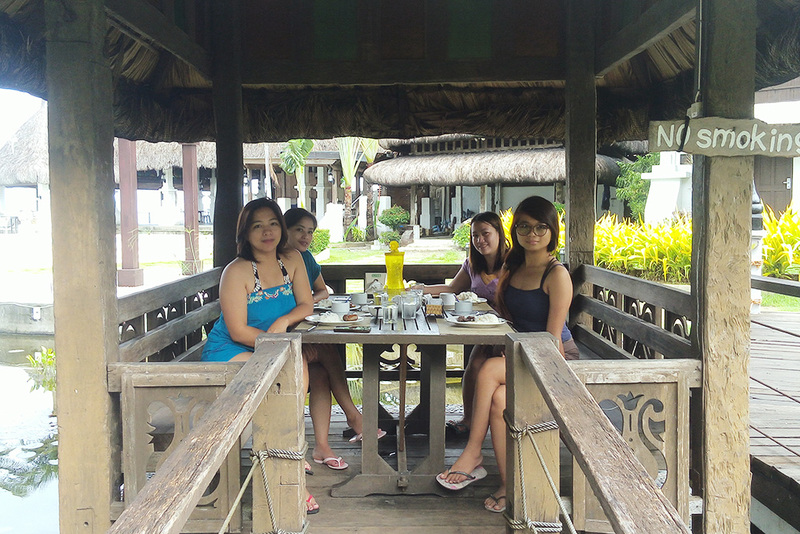 We got a complimentary breakfast for 4 (for 1 night stay) which we opted to take advantage during our second day. We were treated to their breakfast specialties. Oh, you should try out their longganisa (sausages) here, it's heavenly! 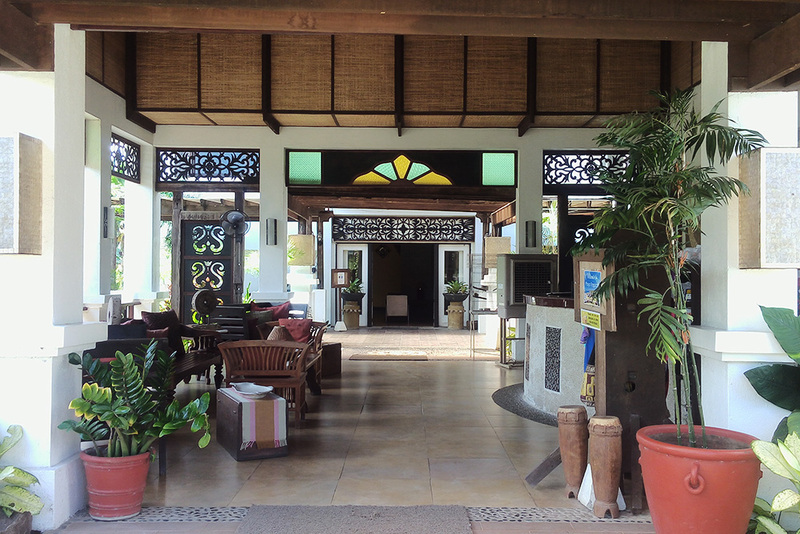 The food can also be ordered to the pool area and to your room. There is no stay at Playa Tropical is complete without lounging in one of their Bali-inspired cabanas and trying out their brewed coffee. Absolute bliss. 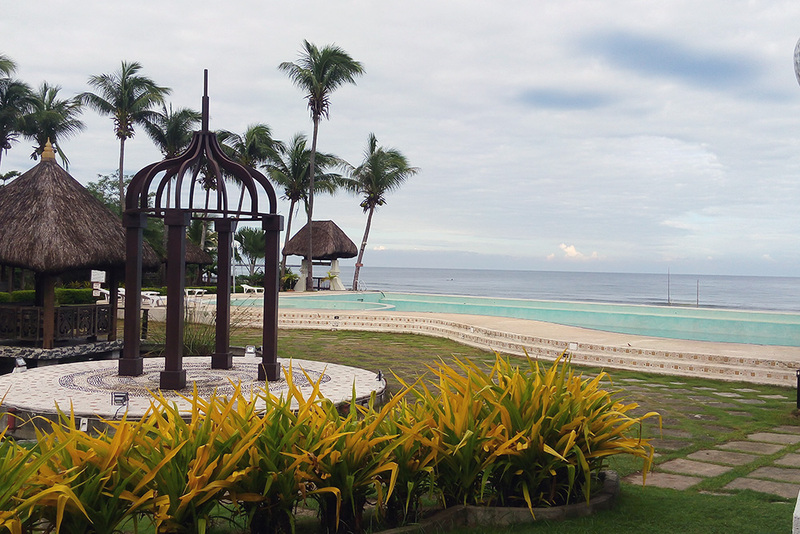 Playa Tropical has its own spa facilities, the Solana, and it is open from 8 AM to 8 PM. 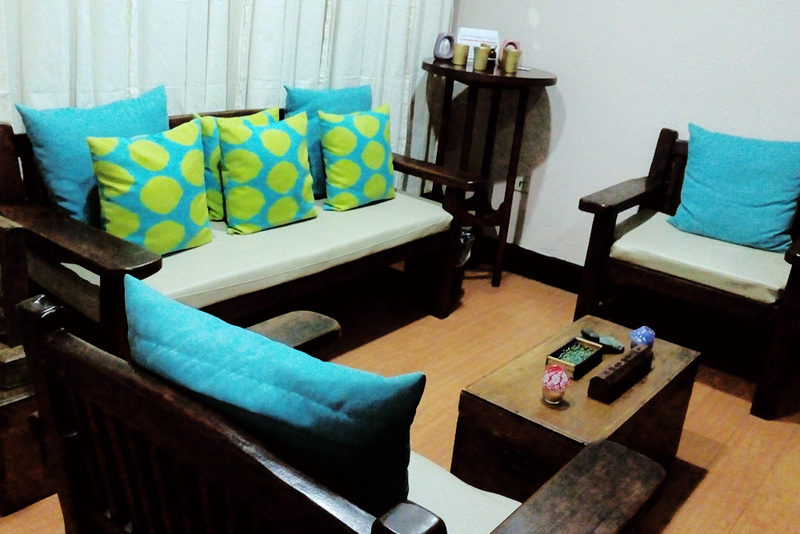 During our stay, we were offered a 15 minutes complimentary massage for 2 persons a night. However, I opted to just give my 15 minute treatment to one of our companions so she can have another 15 minutes for free. She's been lucky to experience a full body massage. I preferred to hang out in our own private pool at the villa with the others. 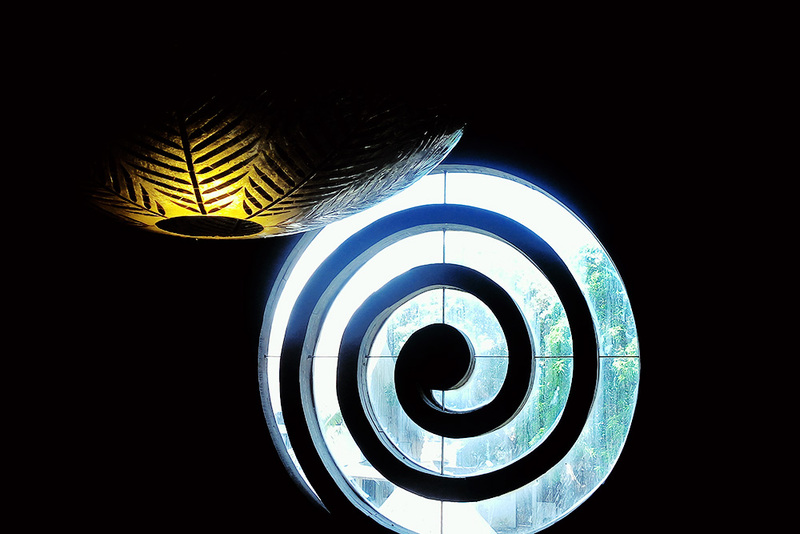 The spirals can be found almost anywhere around the resort and we really are perplexed what it could mean. 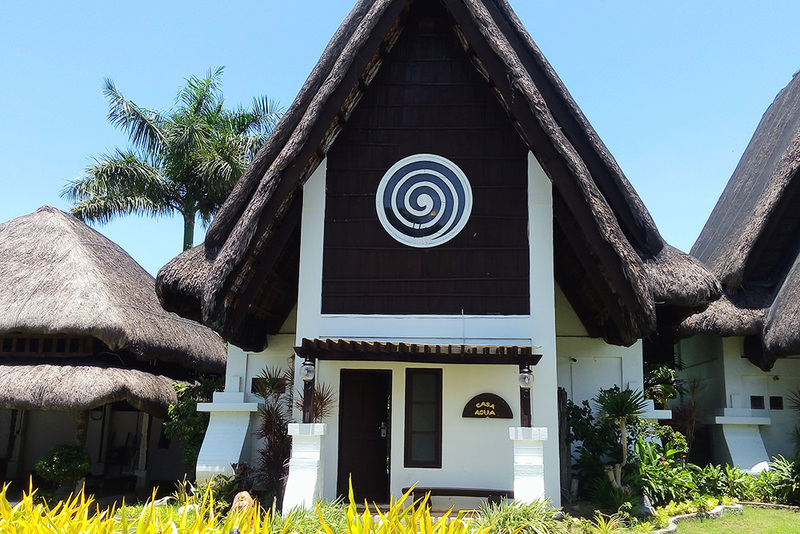 We got lucky to talk to Ms. Toni, owner of Playa Tropical, to explain to us what's the meaning behind this spirals. The pretty Ms. Toni shared with us that there are 2 ways to draw a spiral: from the outside going in and from the inside going out. These two ways represent life, as both, an inward journey where we discover ourselves, and an outward journey where we discover the world. It’s not often I leave somewhere with the feeling that I know I will return. I am far too in love with travel and new places to repeat the same place twice. However, I fell in love with Playa Tropical and due to our short stay here, I left feeling as if I had only just scratched the surface of this gorgeous hotel, especially our own villa. I can imagine that a 2 nights here would leave you feeling completely de-stressed and ultimately pampered, a perfect getaway for the weary soul. La Playa Tropical Resort Hotel is a gorgeous resort hotel with a effortlessly cool vibe and incredibly luxurious Balinese details. For that reason, it easily gets Charlotte Anne's seal of approval. 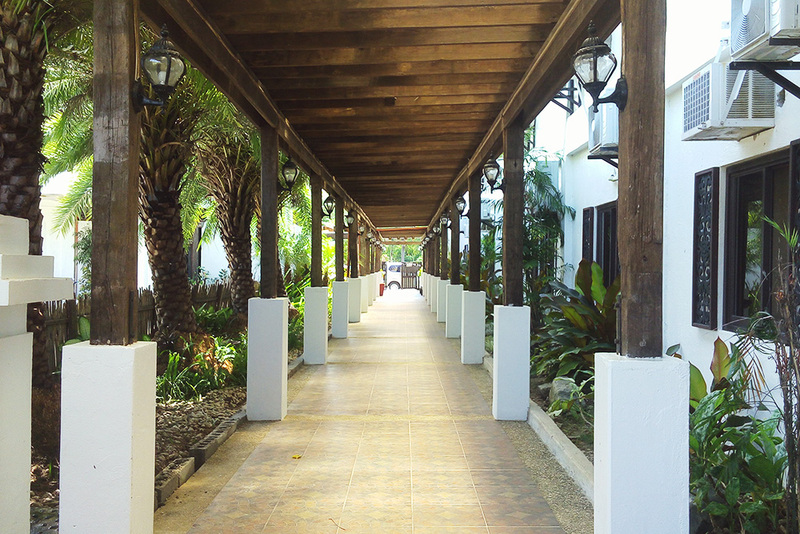 What did you think of my review of Playa Tropical Resort Hotel in Currimao? Are you planning to stay here or have you visited the hotel before? If you have any questions or enjoyed this post, I’d love you to leave me a comment in the box below! Wow, I love love love the place! It's so nice plus the deal you got was awesome! Just less than Php 4k and it's already good for four! I wanna go there soon! getting this deal for only 4k? wow! the place looks like you are in a different country. I love the interiors, the white and brown color incorporated to the villas. It was so nice to have a private pool for chit chats. i must say this is a great deal you got! looks you really enjoyed!